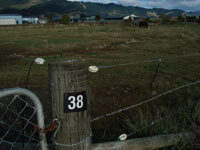 Paddock numbers markers are perfect for farms to help staff, farm workers & contractors identify paddocks and hazards. Reflective numbers on the plates are valuable for dairy farmers for early morning milking or in poor visibility to help identify gates, paddocks etc. Paddock markers are available on UV stable plastic plates with white reflective numbers. Dairy farms from Southland to Waikato have been supplied with reflective paddock markers ready for the start of the new season. 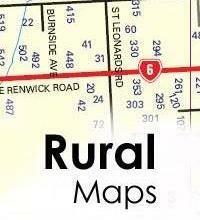 I recieved my first overseas order from a Dairy Farmer in Mountmellick, Co Laois, Ireland. He required 74 numbers before calving commenced. Dispatched an order fo 40 paddocks on 01 May 2017 to a Dairy Farm in Winnaleah Tasmania.